Australia has been attracting individuals from many different parts of the globe. The reason for this is that there is a wealth of employment opportunity within Australia that is appealing to individuals all over the world. Once an individual has made the decision to apply to a job in Australia and immigrate there, it is important to assess which city is best for their particular situation. In doing so, individuals will be able to have an enjoyable experience while living in Australia. It is wise to realistically consider what living conditions are best for you and/or your family. The choice of where to live is a very personal one that has to be considered carefully in order to have the most enjoyable experience. Pros: Sydney is an incredible city to live in because it truly has it all. The reason for Sydney’s high ranking is that it is a world-class global city in that I has incredible skylines, great nightlife, world class beaches, and incredible harbour views. Another aspect that makes Sydney truly great is its access to incredible natural wonders in only a couple of hours, not to mention the plethora of vineyards that are close to Sydney for wine lovers. Cons: The major con that comes with Sydney is the cost of living. Sydney is one of the most expensive cities to live in within Australia. This is important to bear in mind for families that are attempting to spend a little less on housing and day-to-day expenses. It is important to relocate to Sydney only when individuals have a proper job that can support enjoying everything that Sydney has to offer to the fullest. If one is able to have this sort of employment position, it is absolutely possible to make Sydney a more permanent expat destination. Pros: Melbourne is regularly compared to Sydney. The reason that the two cities are compared so heavily is their incredible atmosphere that they offer to residents and tourists alike. Melbourne is specifically known for being the cultural and food capital of Australia. Where Melbourne has Sydney is that the city boasts a more European feel for those that are looking for a small dose of Europe in Australia. Cons: The two cons that come with Melbourne are price and indoor atmosphere. Sydney is known for the outdoor feel that the city has. Melbourne is more your traditional skyscraper city with luxury apartments. For those that are looking for this posh way of life, Melbourne’s con turns into a pro. That said, for families that have high costs and need to get their overhead down, it is best to look elsewhere that is less expensive than Melbourne. Pros: Since Perth is isolated, their local population is said to be quite friendly. For this reason, it is absolutely possible to make lasting bonds and friendships in Perth with locals due to the receptivity of the local culture. The cost of living is also more affordable in Perth than in other parts of Australia, which makes it a great option for families to come and make roots for a time. Cons: Perth is one of the most isolated cities on Earth. For immigrants that are looking to explore more neighbouring cities, it is wise to avoid a city like Perth altogether. Individuals also criticise Perth for lacking substance since it is a newer city. 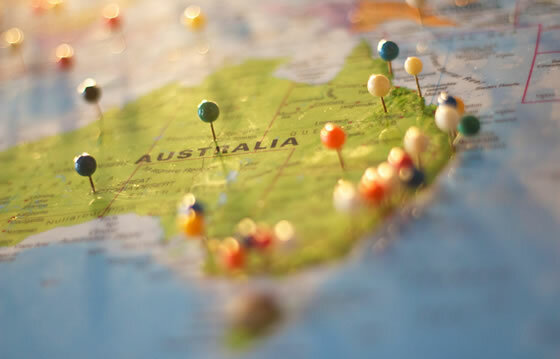 For immigrants that are looking to experience a more established part of Australia, it is best to look to the opposite coast when considering where to relocate as an immigrant. Pros: Hobart is a part of Australia that is often overlooked. It is more isolated than Sydney or Melbourne, but also has a local charm that makes it appealing for immigrants that want to stay for an extended period of time and really integrate themselves into the local community. For immigrants with families, Hobart is a nice place to settle down and have meaningful outdoor activities to make memories. Cons: Tasmania, overall, is quite isolated and requires additional to transport to get there from Mainland Australia. For immigrants that may not want to be isolated, it is best to stick to other main cities of Australia that are located on the Mainland. Pros: Adelaide is an ideal place for families to relocate that are looking for a little slower pace of life that has friendlier individuals than Sydney and Melbourne. Adelaide is essentially a big country town that has more recently turned into a metropolis with a population of over one million. It is important to note that Adelaide has great schools, more affordable housing, and proximity to great wine tasting and outdoor activities for residents to enjoy. Cons: The main con with Adelaide is going to be dependent on what the immigrant’s potential job will be in Australia. Since Adelaide is a second-rate city in Australia, the employment opportunities may be more specific for non-native Australians. Be aware of this to ensure you are able to apply for the proper job for your skillset and get hired in Adelaide. Pros: Darwin is a very unique city in that it is located in the Northern part of Australia and has a very tropical climate. Darwin is ideal for families that are looking for a slower pace of life that are also nature lovers. Due to Darwin’s proximity to many natural wonders in Australia, it is a great place to spend a time, make roots, and enjoy Australia as a family. Cons: Darwin is home to Australia’s more deadly creatures, which is wise to be aware of. That said, the cons in Darwin, once again, will be related to the employment opportunities that may be available there depending on the industry of the immigrant. It is wise to look carefully for jobs when considering relocating to Darwin as a family or a solo immigrant. Melbourne is surely one of the most expensive cities in Australia because it is one of the cultural and economic hubs of Australia. For this reason, the suburbs that are close to the city (inner suburbs) are going to be far more expensive than those slightly further away from Melbourne (outer suburbs). There are also areas slightly in the middle called “the middle suburbs” that include areas such as: Balaclava, Oakleigh, Murrumbeena, Carnegie, Malvern East, Ashburton, Moorabbin, Cheltenham are all more affordable places to raise a family that still have excellent schools. In terms of “inner suburbs” suburbs such as Glen Huntly, Brighton, Beaumaris, Caulfield, and Bentleigh are great places that are more expensive, but are close to the beach, the city, and good schools. Sydney is a world-class city that also has affluent suburbs that are within close proximity to Sydney for immigrant families to enjoy while living in Sydney. One of the favourite areas by families is Manly and Warringah, which are close to some of the best beaches in Sydney along with the elite private and public schools. For more affordable suburbs, Merrylands and Parramatta are great options to have more space without the price tag. Merrylands and Parramatta are easily accessible to Sydney on the train. Lastly, Blacktown is another affordable suburb that has plenty for the family to do in order to enjoy their time in Australia. For immigrants, Australia overall has a very open and receptive culture. Additionally, for families, there are wonderful suburbs that have access to incredible schooling systems for children to attend. The family friendly atmosphere, combined with the ideal city atmosphere for the young professional, makes Australia have something to truly offer any kind of immigrant. The key to finding the right place to reside in Australia is to take the time to do the proper research. In doing so, you will be able to find the right place that is ideal for you and/or your family. Thus, consider immigrating to Australia and you will be thrilled at the experience that you have, so much so, that you may make Australia your permanent stop as an immigrant.